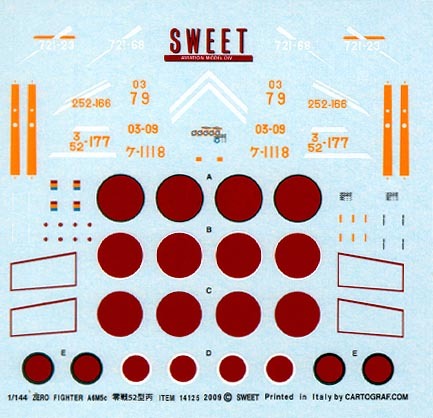 The box art featured the famous pilot W.O. 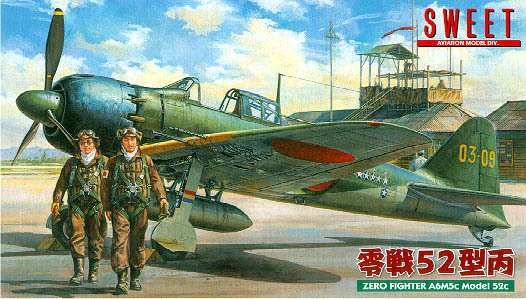 "Takeo Tanimizu" and his ZERO 52c ZERO Fighter at Miyazaki Air Base Japan in 1945. 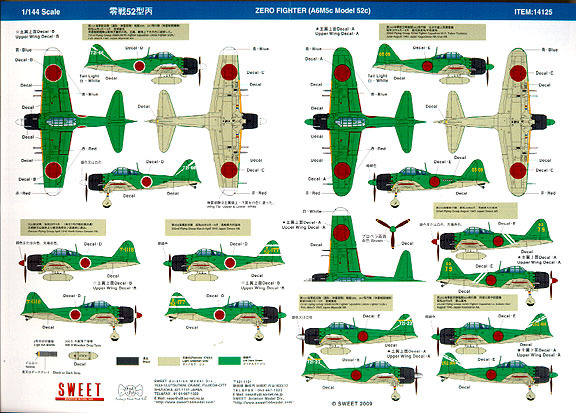 A6M5c Model 52c (Model 52 HEI) was the last mass-production model of the ZERO Fighter. Armament was increased by adding 13 mm machine guns to each wing. underwing Bomb Racks were also added. Armament now consisted of five weapons; two wing mounted 20 mm canons, two wing mounted 13 mm machine guns and one fuselage 13 mm machine gun. 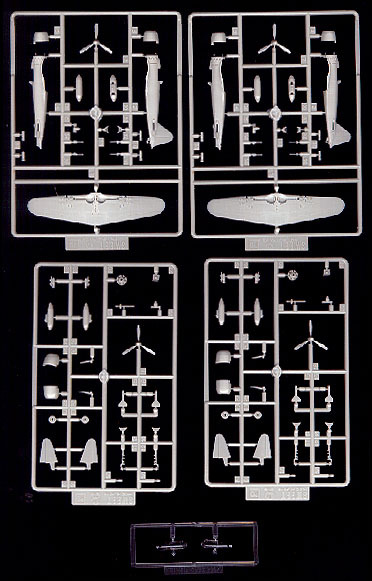 Finely molded parts; 0.3 mm thin clear canopy parts, detailed landing gear structure. Larger engine cowling, shorter wing, separate exhaust pipes, newly added wing mounted 13 mm machine guns, Metal drop tank, distinct Type 52c wooden drop tank and Type 3 "Air to Air" bombs are included. Recessed panel lines and rivets. High quality decal, printed by CARTOGRAF in Italy depicts seven A6M5c home defense markings include the famous mount of W.O. Takeo Tanimizu with kill marks, a ZERO fighter from ZINRAI Squadron which is well known by launching "Ohka" suicide rockets attack. Parts are molded in Gray. A colorful marking guide is included. Newly added underwing Bomb Racks and 13 mm machin gun chute outboard of 20 mm canon can be seen. 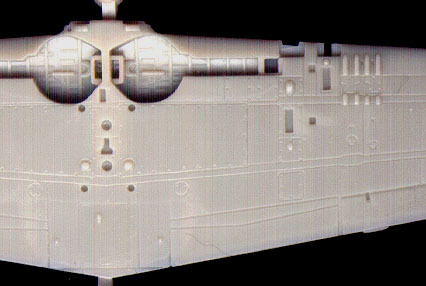 The fine panel lines and rivets are all engraved.